Guangzhou, China´s third biggest city after Shanghai and Beijing by counting the urban area population. 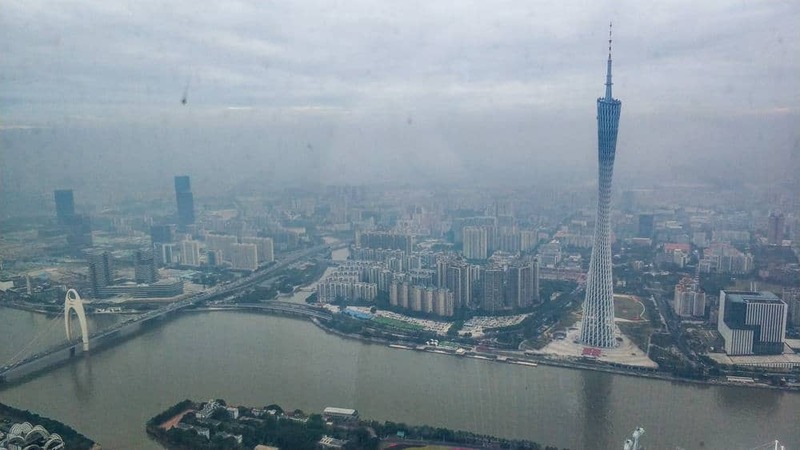 What’s more, Guangzhou is by far the biggest in China if you count the whole Metropolitan Area with a whopping 44 000 000, yes 44 Million, that´s about the same population as Spain or Argentina. If you will be travelling to Hong Kong next, be sure to check out this post: A budget guide to Hong Kong. Compare to Beijing, there might be a bit historical feeling is missing in the city (however it’s still 2000 year old already), or not with so much crazy fancy skyscrapers like Shanghai (click here to read about what to do in Shanghai), but honestly, it´s not far behind at least Shanghai at least in skyscrapers. Guangzhou is often called China´s factory, since they produce in vast quantities of clothing, electronics, plastic goods, and toys are shipped from Guangzhou to all over the world. So most foreigners you will see here are not travellers or backpackers but western business people. The easiest and often fastest way to travel around China is with train, check out this post about train travelling in, China train guide. Check out this post if you are heading to Macau next and want to relax on a beach. Canton Tower lighted up in the evening. 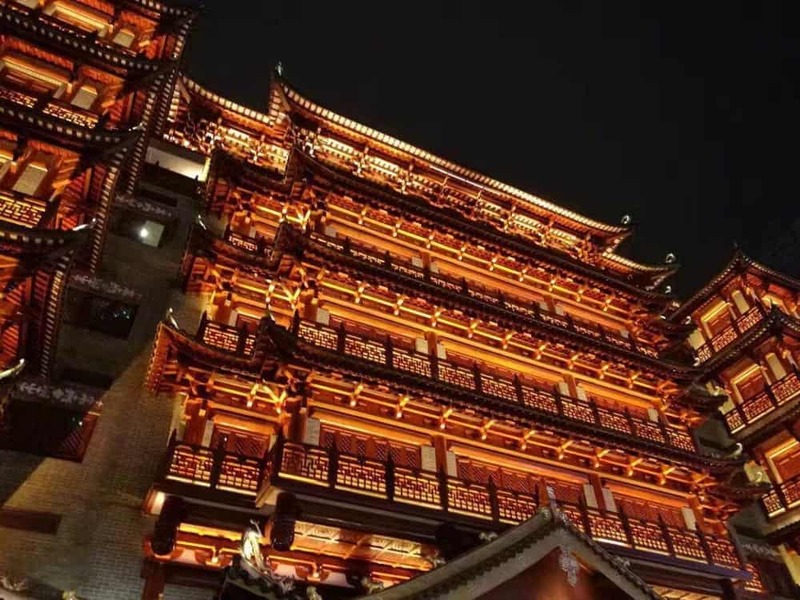 Though Guangzhou might not be attracting tourists like other big Chinese cities, is there still enough things to do in Guangzhou to keep busy with 48Hours? Let ‘s get around and find out with the extensive metro network underneath the city. 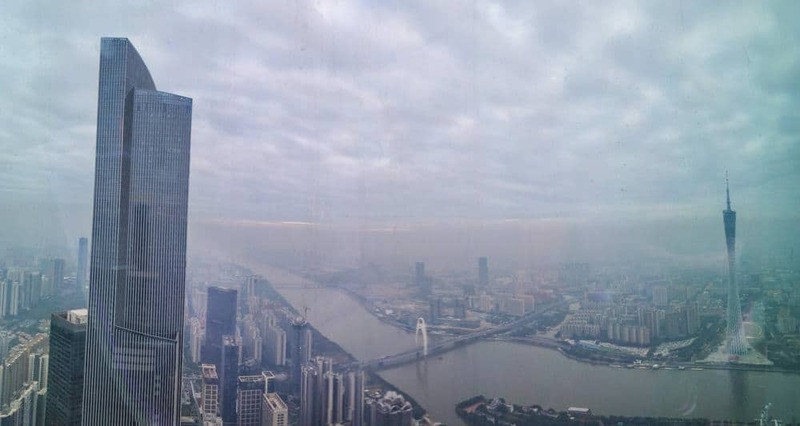 If you got more than 48 hours in Guangzhou read this post about 40! Things you can do. Here Are The Top 6 Things To Do In Guangzhou. 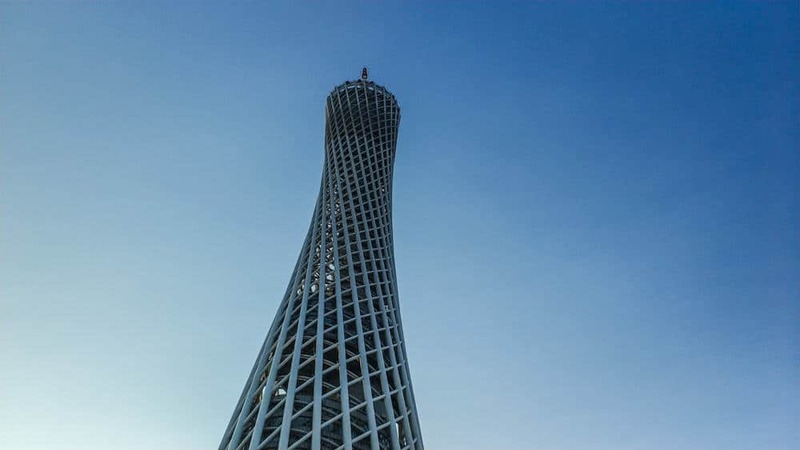 Guangzhou has its fair share of tall buildings with the Canton Tower at 604 meters (1,982 ft) tall with multi-purpose as observation/Tv Tower. 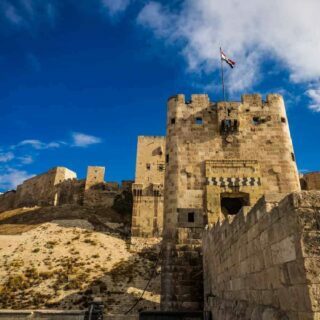 As the highest and most obvious building to visit in the city, it comes with a price. The view from the Skybar. The window could need some cleaning. The Entrance to the Beer Museum. 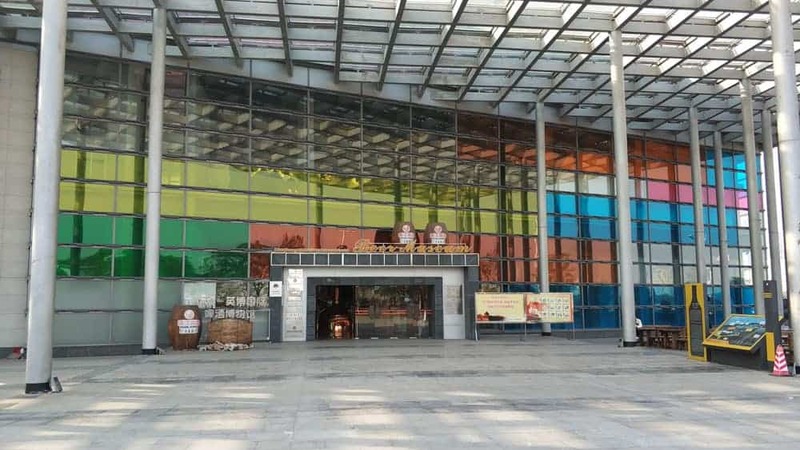 Just next to the south banks Of the Pearl River, and just 15min walk east of Canton Tower is Zhujiang-InBev International Beer Museum. 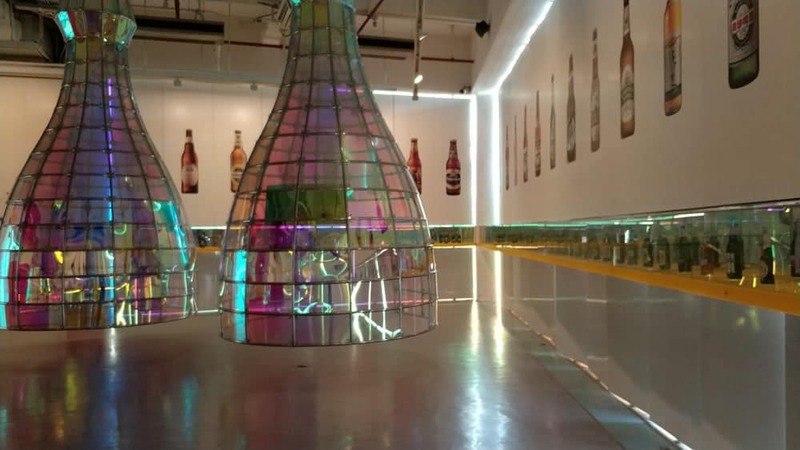 A Small and modern museum about the worlds and Chinese beer history, from the first beer being made for about 5000 years ago, to China´s first brewery opened in 1900 to China beer and up to China´s beer culture in the 2000s. The museum has a lot of artefacts on display showing how beer making has evolved over thousands of years. Everything is explained in both Chinese and English. 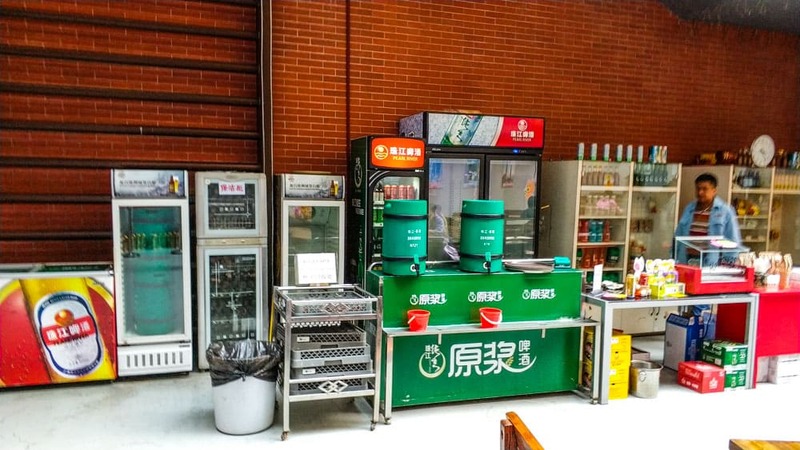 After done with going through the museum you could head to the small bar area where you can enjoy unlimited free Beer. You need to show you the museum entrance ticket. You have free unlimited beer from the two big green barrels. Entrance Ticket Price: 50 RMB. Getting There: Take metro line 8 to Chigang Station, transfer to Bus B7 to Yuejiang Xilu Zhong Station or take Bus 765/779 to Zhujiang Brewery Station. Football is rapidly becoming the most popular sport in China, some of the foreign players here has the world´s highest (insane) salaries. And the best football club in China? Guangzhou Evergrande that have won the Chinese League every year since 2011, that´s 7! years in a row. The stadium can hold 58.500, but the standard is not really topnotch. 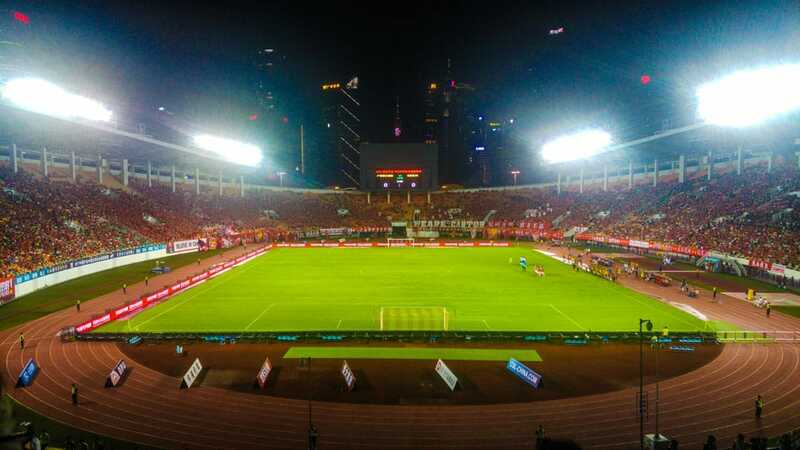 Talking about the Football Stadium, the Tianhe Sports Centre Stadium had a capacity of 58.500 and located in the dead centre of Guangzhou if you are in the commercial centre of Guangzhou at around Tianhe, so will it be impossible to miss it if it´s a match day during your visit. A ticket will cost around 60 to 100 RMB. A “fake” football shirt for the Guangzhou Evergrade that´s sold everywhere around the stadium on a match day is around 20 RMB. If you need a small break from the traffic and hustle head to Shamian Island where cars are banned. 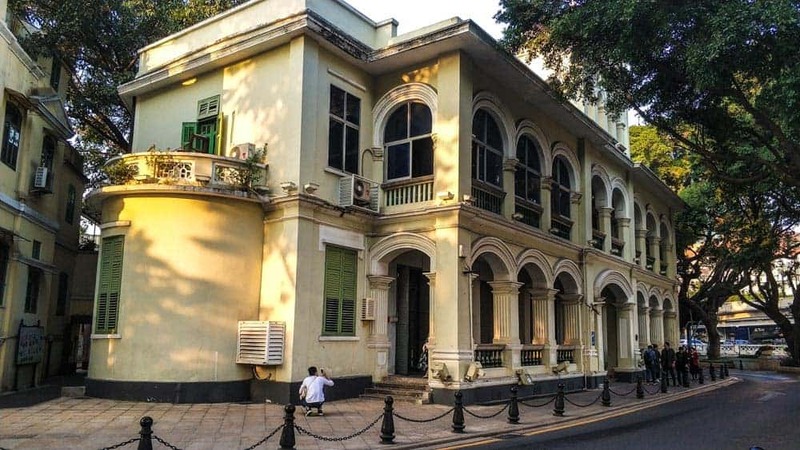 A small island (well connected by a few bridges), The buildings and streets of is full of former British and French buildings that have been restored to its former glory. A great place to enjoy a cup of coffee and do some people watching, Shamian is very popular for locals to take their wedding photos or model photos. I counted more than 50! People having a photoshop on the streets there during my 2hour visit. Head To The Baiyun Mountain. 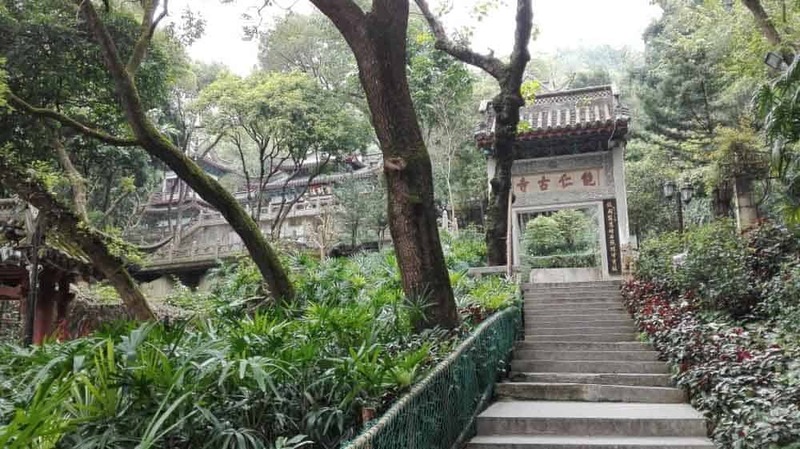 Guangzhou is in a hilly area; there is no high mountain around the city, the best place you can overlook the city is on Baiyun Mountain (Ticket: 5yuan). However it’s been called mountain but actually not that high, the highest peak Mo Xing Ling is only 382 meters, there is no steep slope, you can easily walk to the peak within two hours. If you do not want to climb, you can also choose to take the cable car to the hillside (up way 25 yuan, down way 20 yuan, two-way 40 yuan). However, if you choose to go to Baiyun Mountain on weekends or during some traditional Chinese festivals, you may not even be able to sit down for a place. People in Guangzhou love to go for a walk in Baiyun Mountain when they are free, bring home a few buckets of spring water for making tea, eat a bowl of sweets called tofu flower, and gather together the elderly to play musical instruments or rehearse chorus of some old songs, there’s also a budda temple in the mountain, everything is full of Guangzhou lifestyle. 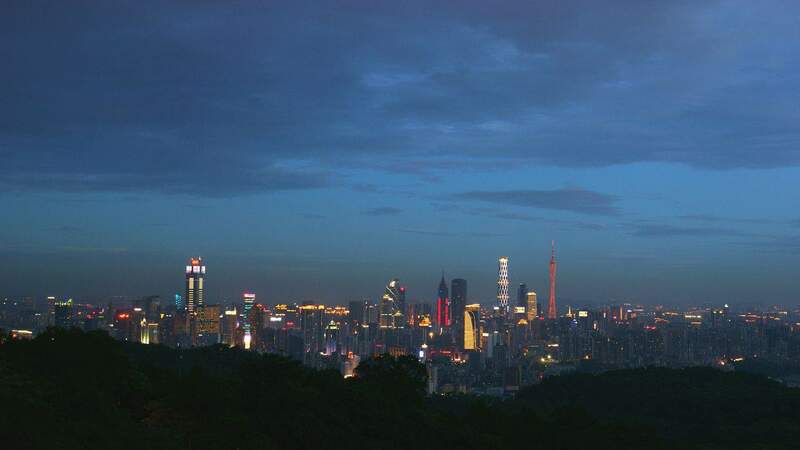 If you do not love the crowd, the choice of going to Baiyun Mountain after the sunset is also a good choice. 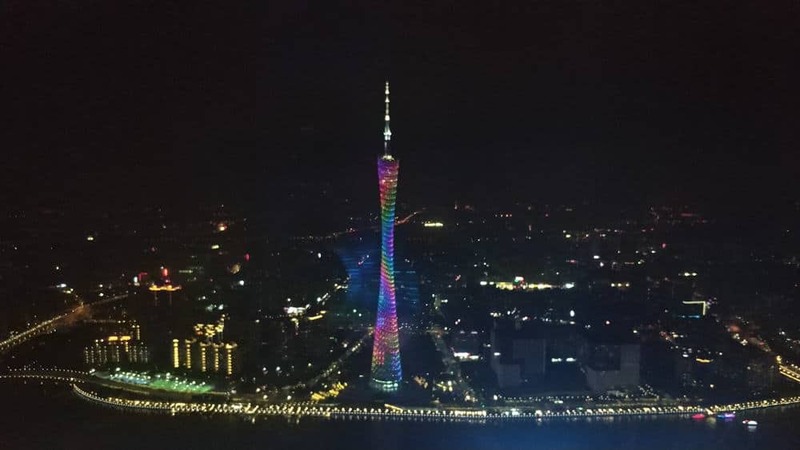 From several major entrances, you can reach the Mid-Levels observation deck in less than half an hour, overlooking the city of Guangzhou at night and all the lights, which is a completely different feeling compared to daytime. 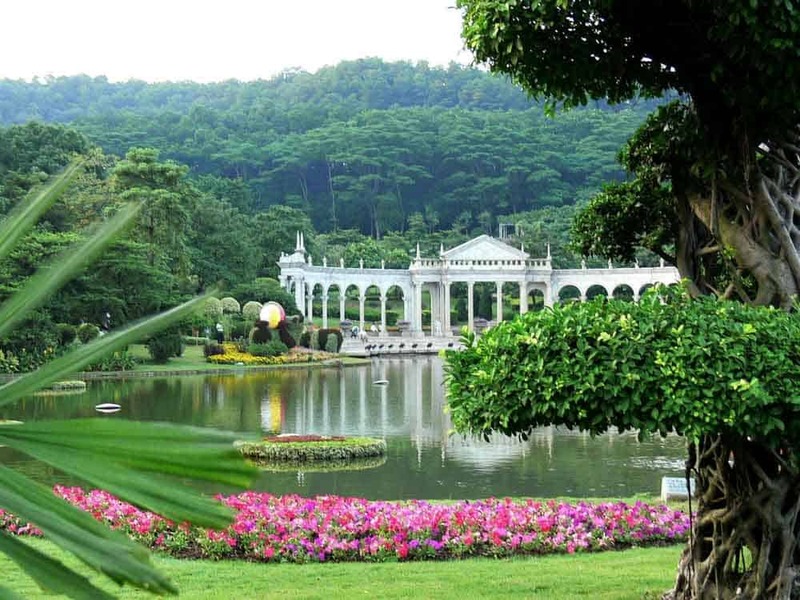 Beside the main entrance of Baiyun Mountain, there is also a garden called Yuntai Garden (Tickets: 10 yuan, holiday: 15 yuan), which planted a variety of 200 kinds of exotic plants in the subtropical regions, flowers open in four seasons. It takes about two hours to visit the entire park; you can choose to come and look around if you do not have time to go to the botanic garden. 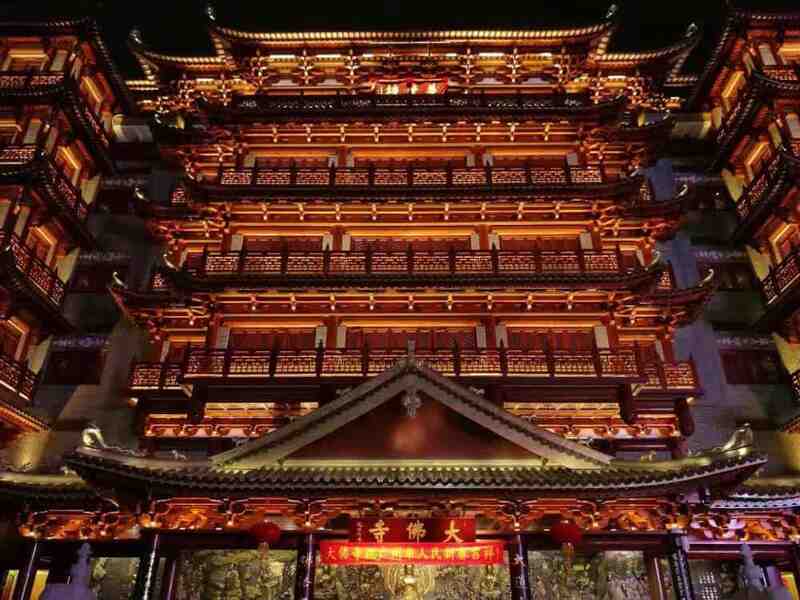 Dafo Temple is considered to be the most important Temple in Guangzhou with a history of more than one thousand years and was built by Emperor Liu Yan in 917-971 during the Southern Han dynasty. Where to go next? What about Chengdu? Have you ever been to Guangzhou? Did I miss out on anything?